This song is really great for accompanying yourself and is perfect for those who just started learning to play the piano so don't miss it. Let's get to work! 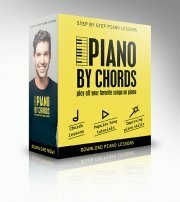 Here's a piano free piano tab to help you practice the song the way we've played in the piano tutorial. 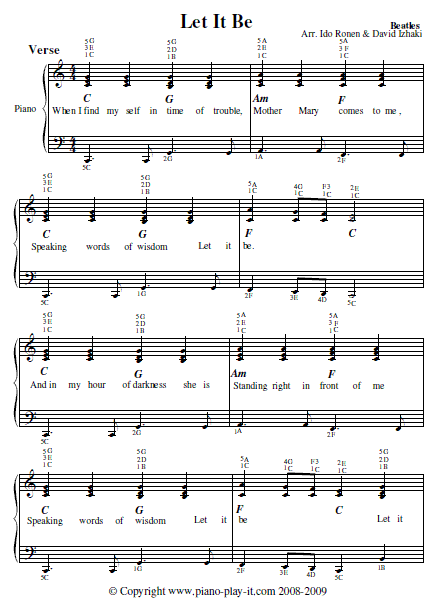 Click here for a free printable piano tab of the song. During the Beatles Let It Be Tutorial we will limit ourselves to playing all chords within the range of B under middle C and Bb above middle C with the right hand.